One of the joys of being a sales rep for a Euro-centric distribution company (read: the greatest joy) is having access to all kinds of wine that ordinary people wouldn’t give two buns about. In my particular case, I get to choose a selection of wines to take out as samples each week, and this week I decided to throw in a couple wines from the Savoie region of France. 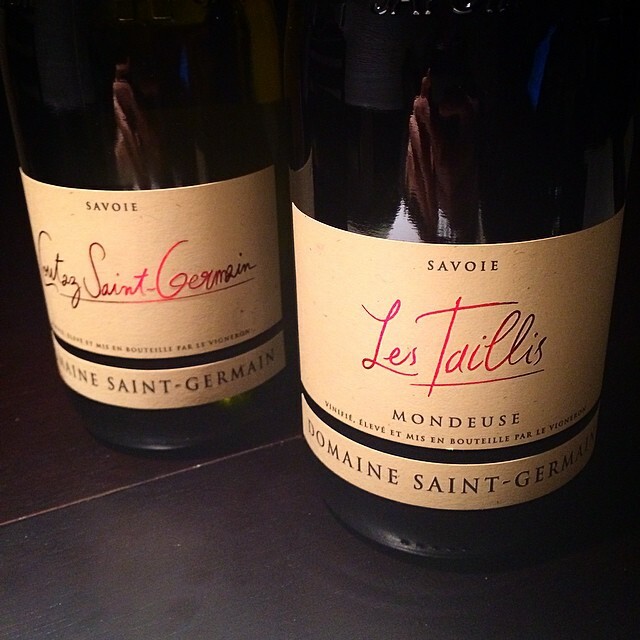 Because seriously, when do you ever get to drink wines from the Savoie? When I say so, that’s when! In all seriousness though, I know absolutely nothing about the Savoie. Most people don’t, in spite of their reluctance to admit it. Most of those self-styled Sommeliers love to boast about the Cotes d’Or but rarely dare to venture any further South into France. With the Savoie, you’re not just venturing South, you’re venturing EAST! The most exotic of all cardinal directions! The Savoie (pronounced sa-vwah) is an oft overlooked region in the relative-far-east of France, butting right up against the French alps, more or less bordering Italy and Switzerland. The region is, as one should expect of a place near the alps, MOUNTAINOUS, and the wines produced there reflect these alpine conditions in a fairly direct way: dry, mineral rich, with unusual character and limited fruit. Classically, we’re talking about wines (primarily white) that exhibit lighter bodies, lots of acidity, and curious notes of pepper and herbs. To further complexify the situation (the word complicate wasn’t complex enough to convey this concept), the region almost exclusively employs varietals that you’ve never even heard of, that you never really see anywhere else in the world. Chasselas, Jacquère, Altesse for whites and Mondeuse for reds? I mean, that last one sounds like an exhuberent French exclamation, not a sub-species of Vitis Vinifera. Sure, you’ve got some Chardonnay, Marssanne, and Gamay to keep things a little familiar, but on the whole the Savoie isn’t interested in playing your familiarity game. They do wines their way and it’s worked out fine for them for the last couple centuries. So stand down! What all of this basically translates to is: for the majority of wine drinkers, the Savoie is not a wine region you really need to concern yourself with. For us wine nerds, however, what could be more enticing? “A wine region that NORMAL drinkers don’t need to concern themselves with?” Sign me up! Because you don’t walk into a De Beers outlet when you’re looking for diamonds in the rough! So anyway, for samples this week I took out the two wines I thought would be most interesting/enticing to my customers: a white and a red that come in around $18-$22 retail each, respectively.